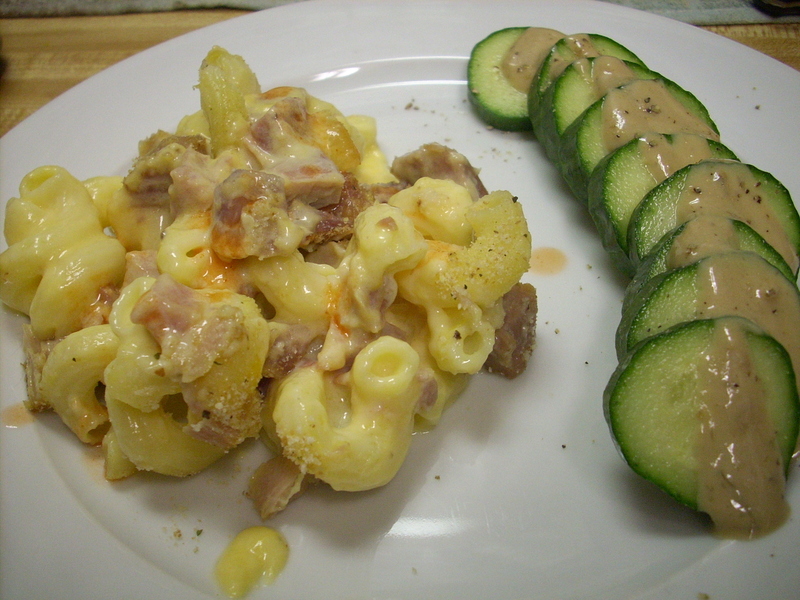 I made ham macaroni and cheese for me and Hannah for our carb dinner before the race tomorrow. So good! Cook noodles according to package directions. In saucepan, melt butter and then add flour. Stir unti flour is incorporated into the butter. Slowly add milk and stir until nice and thick. Remove from heat, add salt and pepper to taste. Stir in cheese until melted. Add in cooked noodles and mix together with the ham. Put in baking dish and sprinkle with bread crumbs. Bake at 350 for 30 minutes, or until nice and bubbly. 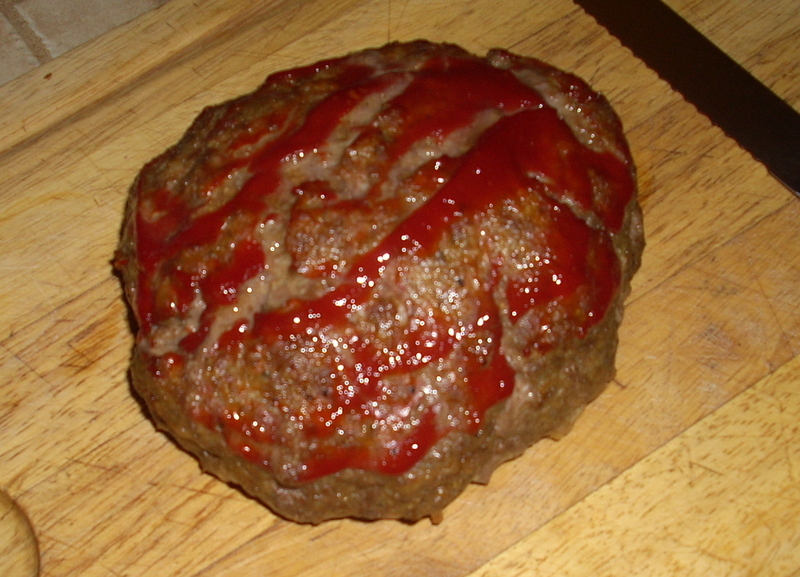 I made meatloaf for Tony. This recipe could not be easier! Mix everything together (except ketchup). I form a big loaf and cook it on a rack on a jelly roll pan to catch the juices. This way, its not cooking in all that fat, and it drips away. Plus I think it looks better because the outside is all exposed to the heat. Bake at 350 for 50 minutes. Let rest 5 minutes before cutting. Plan on taking it easy tonight – no wine for me 😦 The plan is to get to bed around 10:30 and up at 7:00, leave for the race at 8:00. See you after the race!